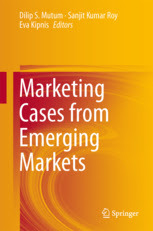 Marketing Profs refer to academics who teach marketing and related subjects in Universities. These are the opinion leaders in the field of Marketing. However, it is quite surprising that several Marketing "Gurus" in academia are not really active on Twitter and are not represented in this list. There have been some minor changes to this list. It is now restricted to the top 50 and I have removed a few academics who are not strictly in the field of Marketing. Here is the old 2016 list. I discovered that some have changed their Twitter handles and some have moved Universities. Mark Schaefer is still on top with 176.2K followers. It is interesting but most seem to have lost followers. Not sure why. Also, there is a huge gap between the 3rd and 4th on the list. The ranking is based on the number of followers as of 24 April2019. I am proudly representing Malaysia in the list at #15. Note: Please let me know if you want to be added to/ removed from the list. 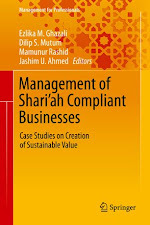 The edited case study book titled Management of Shari’ah Compliant Businesses: Case Studies on Creation of Sustainable Value, has been published. 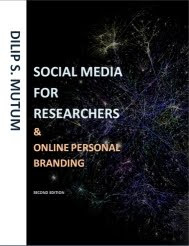 This is my fourth edited book and the third from Springer. I co-edited this book along with Ezlika M. Ghazali, Mamunur Rashid and Jashim U. Ahmed. The book has 15 case studies with eight cases under Islamic financial management and seven under Islamic marketing and management. "Muslim consumers represent an untapped and viable market segment, but to date there has been very little research on catering to their needs or running and managing Islamic businesses. Innovations in Islamic business, interest in the use of Sukuk (Islamic bonds) to finance major projects, pressures on Islamic banks to reduce the financing gap in society, and the need to understand Muslim consumers, require a deeper grasp of the issues and opportunities involved, which are quite unique. In similar vein, acquiring expertise on topics specific to Shari'ah-compliant businesses requires a thorough knowledge of matters ranging from financing to branding and, in a broader sense, creating an entrepreneurial framework suitable to the market. 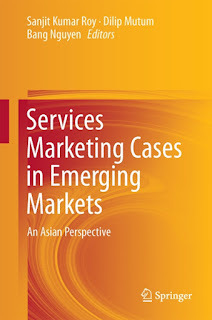 This book fills this gap by presenting high-quality and original case studies on Islamic finance, marketing and management from around the world. Equally valuable in business school classrooms and for c-suite strategists, it will help readers shape business strategies to tap into a billion-strong market." 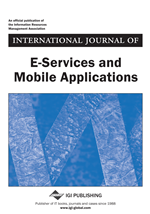 You can now buy the e-book from the Springer site for EUR 53.54. Here is a video I made some time back. A review of the must read book - The Halo Effect ...and the Eight Other Business Delusions that Deceive Managers by Phil Rosenzweig. 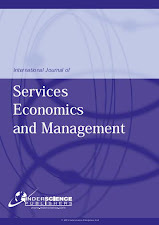 Tweet Helping to spread the word for my old friend Dr. Sanjit Roy who is guest editing a special issue of Journal of Service Theory and Practice, Emerald Group Publishing (ABDC A). He is co-editing the journal with Dr Harjit Sekhon (Coventry University) and Dr Bang Nguyen (Associate Professor of Marketing).